As Apple and their competitors invent more and more devices that are capable of displaying websites, the old way of building sites is no longer enough. Building responsive sites is a necessity now. Sadly, many website owners are not aware of this and do not realize that this is the future of web and that in order for their website to continue to thrive, they need to adapt. Responsive design means planning and building the website with flexibility in mind to make sure that all the elements in the design will be able to adapt to the size of the screen through which a user is viewing the site. In addition to that the website must perform just as good in the smaller versions as it does in the standard one. The site has to be able to convert whether the user is looking at it on an iPhone or on their desktop. Some screens are small, like on iWatch, others are bigger like iPhone and all kinds of eBook readers. Then you have the tablets and lap tops and the big screen monitors. A website needs to be able to adjust to the screen size and still look great, in fact, every adjustment and every screen resolution needs to be considered as a separate website design because some visitors will only see your website through that alone and may never get a chance to see it in a standard resolutions screen. This is why it is important to design each resolution variation and optimize it to produce the results that your website was created for in the first place. 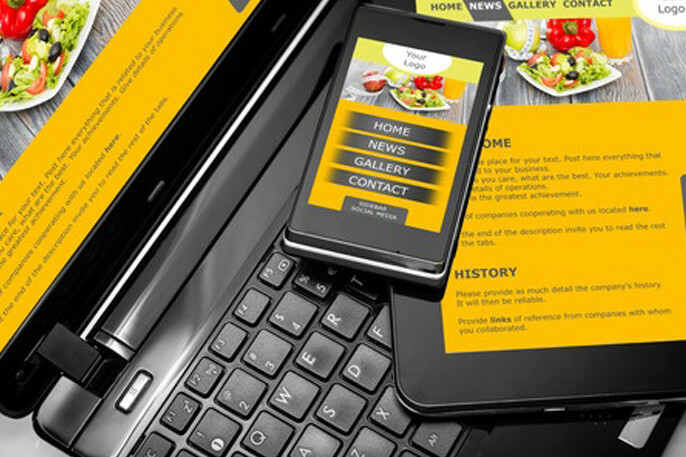 I see many sites become casualties of this web evolution as they scramble to make an alternative adaptation of their site for the mobile visitors. They take the existing page content and make it dynamically adjust to the width of the browser screen. What they do not realize is that when the site is squeezed, the elements that used to have a flow and was designed to lead the visitor towards a call to action and beyond, now has zero flow. It is now a narrow container of content that has no strategic point. Nobody wants to hear this but the right way of doing this would be to create a well thought out plan and design for each of the versions of the web page to make sure that each does it’s best and is flow optimized to convert the visitor. This will require four separate designs and code that will detect the screen width and display the appropriate version. I can see the costs of a website going up but if done correctly and each version of the site is meticulously optimized, the return on investment will be well worth the efforts. It is no longer the days of one page website design, now every page has to be designed four times. That is for now anyway, until Apple invents yet another gadget that will require yet another version.